58585 • Tamiya Alfa Romeo 155 V6 TI Jägermeister • TT-02 • (Radio Controlled Model Archive) • RCScrapyard. 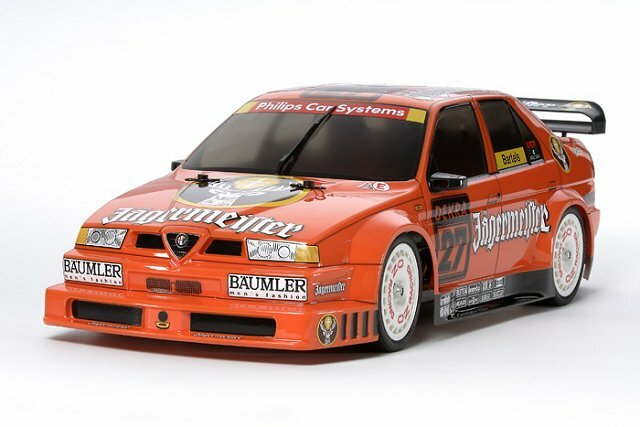 Released by Tamiya on January 22, 2014, this TT-02 chassis based self assembly RC Model, is of the Alfa Romeo 155 V6 Jagermeister that raced in the German Touring Car Championship in the 90s. 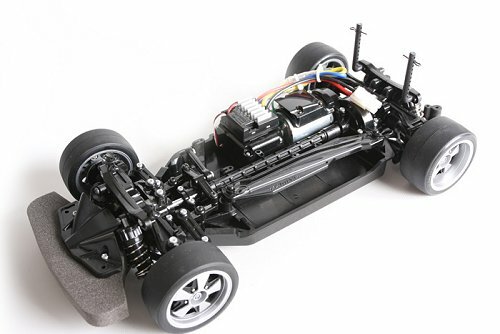 The TT-02 Chassis was produced by Tamiya as an entry level model, to replace the aging TT-01 Chassis, that has been around since 2003. The TT-02 design is capable of utilising modern day rechargeable batteries, is also durable and easy to build and maintain. 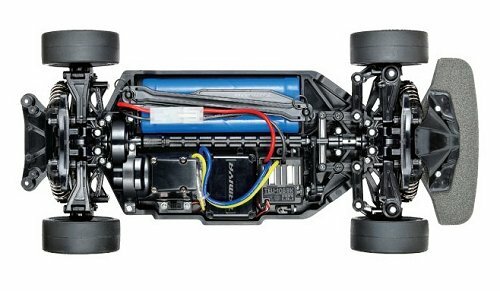 The shaft driven Chassis configuration, employs front and rear orbital bevel gear differentials, fully independent double wishbone suspension with coil spring over friction dampers. 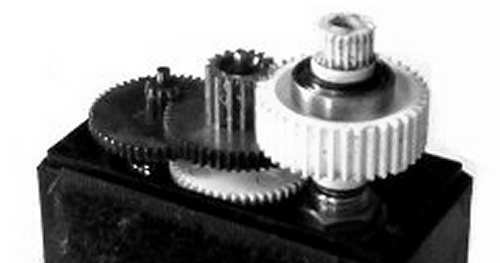 A 540 brushed silver can electric motor and an Electronic Speed Controller (ESC) are included in the kit. 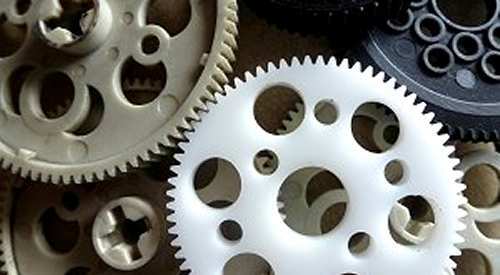 Radio Equipment, Battery, Charger and paint for the body shell must be purchased separately. 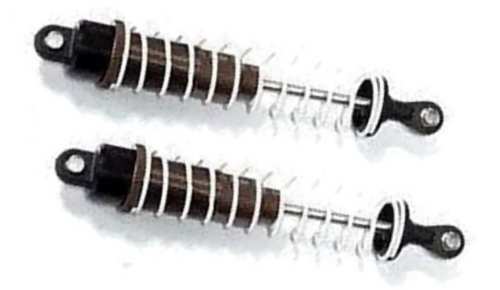 Like the majority of Tamiya budget kits, this one comes with Plastic and sintered brass Bush type bearings, that when dust and grit get into them, abrade the drive shafts that spin in them, making them sloppy and causing dog-bone problems. 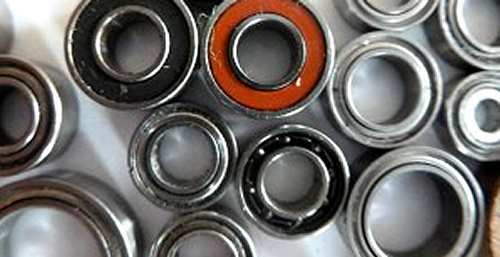 I recommend these should be replaced, by a full set of Shielded Ball Bearings, on initial assembly or as soon as possible. To get the best from the TT-02 Chassis, it needs to be fine tuned so it has enough grip to hug the corners at high speed, without slipping off the track and accelerate smoothly under control. Small adjustments can make a Big difference and our simple to understand, step by step procedure, will guide you to the best Set-up for your driving style.